Medical laboratory scientists provide 80% percent of the data physicians and healthcare professionals use to make an accurate medical diagnosis and recommended treatment plan. Medical lab scientists (MLS) have the challenges and rewards of medicine and science, and advance the treatment of common and complex illnesses as they run tests with precision and reliability. 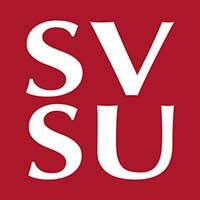 At SVSU, you’ll complete your professional classes in a small cohort, learning from mentoring faculty. SVSU has an accredited program, so you’ll be able to take the National Board of Certification Exam to become a nationally certified MLS. You’ll be extremely marketable in the growing health care industry, and eligible to work anywhere. Isn’t that your goal? Start your Cardinal story today and apply. At SVSU, you’ll gain a distinct advantage with a strong foundation in science by taking courses in biology, anatomy & physiology, inorganic and organic chemistry, pathophysiology, physics, biochemistry and healthcare ethics. Upon acceptance into the competitive MLS program, you will be placed in a cohort you’ll move through your program courses. Your program concludes with a “real world” 22-week clinical field experience in an accredited lab. Upon completion of the program, you’ll be eligible to take the Board of Certification national certification exam. You’ll be following in the footsteps of well-prepared students, as our students have a 95% pass rate, and licensed to work in any state! Sean Suitor (’18) knew there would be challenges in his path to becoming a Medical Laboratory Scientist. The determination and vision helped him through working nights at Covenant HealthCare as a lab assistant and attending medical lab science classes with little sleep in the mornings and afternoons. Suitor’s persistence was challenged daily as he has Attention Deficit Hyperactivity Disorder (ADHD). As a student, he served as president of Ability First, a student organization that seeks to provide a welcoming environment to all students. Learn more about Sean’s Cardinal journey. Medical laboratory science students are passionate about promoting the profession throughout SVSU and the community. SVSU students share their knowledge with forensic science students at the Bay Area ISD, and volunteer at the annual HOSA competition. Each year, the MLS senior class attends the annual conference of the American Society of Clinical Laboratory Science-Michigan, to network and learn leading research methods and techniques. These experiences are further supplemented through clinical placements, student clubs and organizations, and more, giving our students an advantage before they sit for the BOC MLS certification and enter the workplace. Learn more about SVSU’s on- and off-campus opportunities for medical laboratory science majors. All the practice in the lab becomes real as students embark on their 22-week internship during their last semester. Students will be placed in an accredited lab within the Mid-Michigan region. Our students are frequently offered full time employment where they complete their field experience. The MLS laboratory is spacious and equipped to mimic the departments you will find in the clinical laboratory such as chemistry, hematology, transfusion medicine (blood bank) and microbiology. A prep room is separate from the lab; and other specialized equipment, including: microscopes with oil immersion lens, automated analyzers for hematology, chemistry and coagulation, spectrophotometers, incubators, and a variety of additional instruments used for performing basic laboratory tests. With this state-of-the-art lab, you’ll impress your fieldwork supervisor and your first employer! Graduates of SVSU’s MLS program enjoy a 100% job placement rate, usually in a clinical setting at a hospital. Many of our graduates are committed to the region, as 69 percent of all MLS grads are employed by Mid-Michigan employers and affiliates of SVSU. The SVSU medical laboratory science program is accredited by the National Accrediting Agency for Clinical Laboratory Sciences (NAACLS). Learn More here.